What is your idea of the real South Australia? Explorers, dreamers and legends? 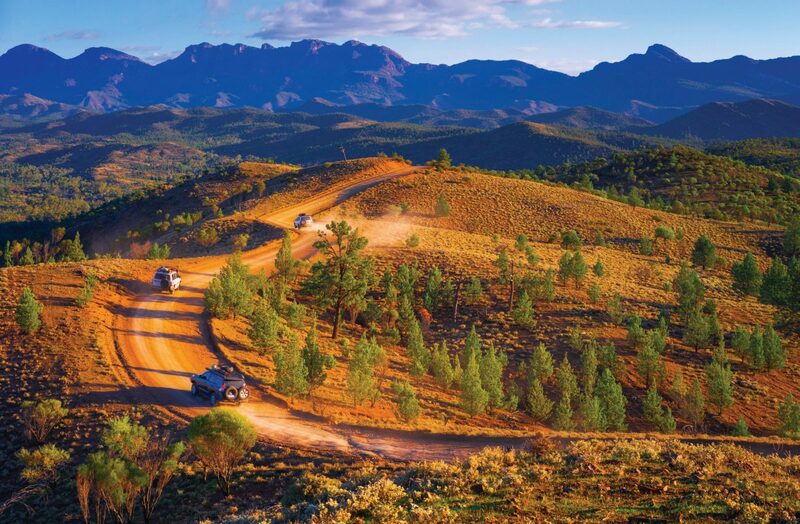 You’ll find what you’re looking for in the Flinders Ranges and South Australian outback. 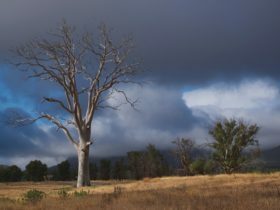 The land is a country of thick, gnarled gum trees, growing alongside stony creeks. There are ruins of farms left by pioneers, beaten back by the harsh landscape. 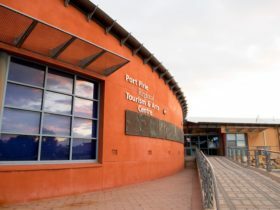 The Flinders Ranges is an ancient and unique part of the world. 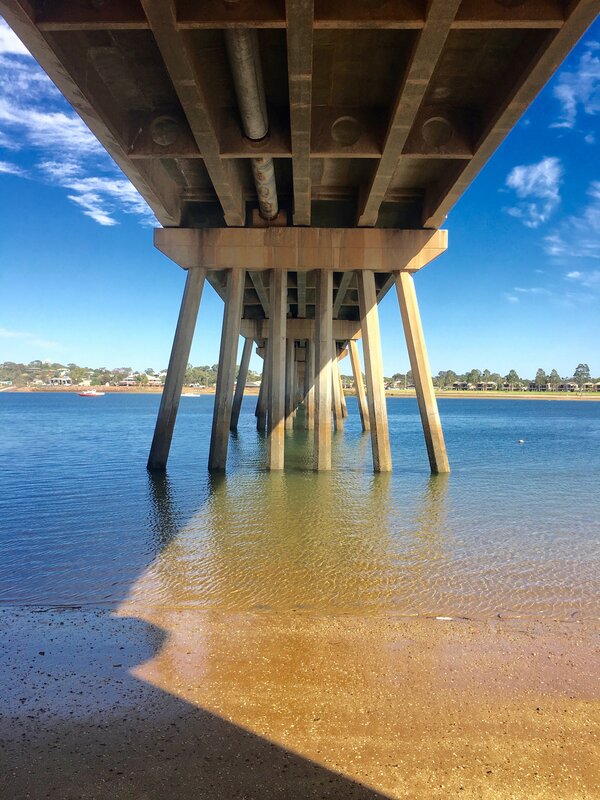 It is where you’ll find Australians who live hundreds of kilometres from their nearest neighbour. They wait for the twice-weekly delivery of mail and goods from the outside world, brought by a postman and the few lucky tourists accompanying them. There are magnificent mountains, glowing red in the sunset, with caps of lichen covered rocks and razored edges. Feel part of nature with emus and kangaroos passing by your campsite. Experience the peace and darkness at night in the bush. 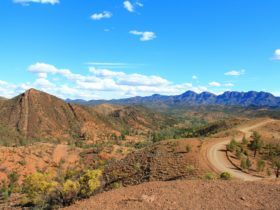 Wedge-tailed eagles soar above the horizon as you tackle the deep, red sand and spinifex of the Simpson Desert or Strzelecki Track. The eyes of the desert lizards will watch, as you stop to see the beauty of Lake Eyre in flood. Feel the burr of the cattle grids under the wheels of your car and mark your journey across this wilderness. Waterholes and narrow gorges of red rock hide yellow-footed rock wallabies and tiny Lake Eyre dragons. Walk, explore and watch. Listen to Dreamtime stories under the shade of gumtrees. It’s vast, ancient and seemingly empty. It is full of adventures and a world far removed from any modern city. There’s the strange beauty of the giant, natural amphitheatre, Wilpena Pound and the siren call of the opal fields. It’s like stepping into a different world.